Upper respiratory infections are caused by viruses, and quite commonly by a rhinovirus. Upper respiratory infections can also have a bacterial or fungal cause. Upper respiratory infections (URI’s) affect the upper parts of the respiratory system. 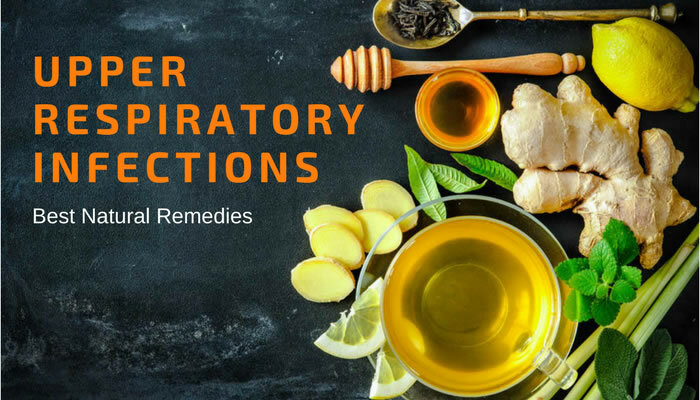 Natural remedies for upper respiratory infections include apple cider vinegar, vitamin C, rest and keeping warm. While “upper respiratory infection” or “rhinovirus” may sound like serious diagnoses, they are just more technical terms for the common cold. Severity of upper respiratory infections can range from mild, with uncomfortable symptoms to severe with more debilitating symptoms, including malaise, fever and pain in the ears, throat or sinuses.Those who have immune deficiencies, chronic lung disease, the elderly or young children are more at risk for complications from upper respiratory infections. The sooner treatment begins, the better. Some remedies, like Zinc, are more effective if treatment is begun within 24 hours. However, do not fret if you are just getting around to looking for a natural remedy for your upper respiratory infection and have let it go on for days or even a week or more. 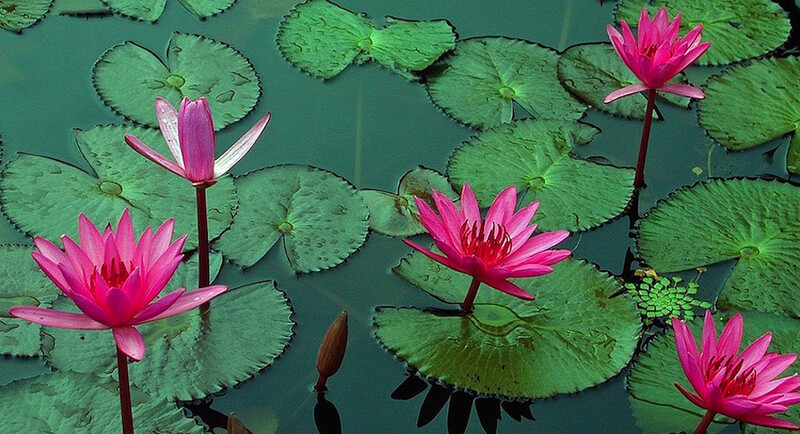 Natural remedies can still reduce the misery and duration of upper respiratory infections. The rhinovirus, a common cause of upper respiratory infections, is so called because of its affinity to the nasal cavity. “Rhino” is the Greek word for nose. It has been found that at least some rhinoviruses replicate easily between 33-35 degrees Celsius.2Core body temperature on the other hand is 37 degrees Celsius, on average. The upper respiratory tract includes your nose, throat, ears, and sinuses. When these areas become infected, the body responds with inflammation to fight the infection. The Greek suffix “itis” means inflammation. Many conditions associated with an upper respiratory infection are inflammatory in nature – tonsillitis, sinusitis, otitis media, laryngitis. Inflammation has its role in bringing healing, but the swelling it brings also causes pain and discomfort. Natural remedies help your body to fight the infection so your body won’t need to respond with so much inflammation. Your body will also produces mucous and fluids to help remove infection from your body. Again, this is a response of a healthy immune system that brings discomfort. Using natural remedies to fight infection and strengthen your immune system will reduce the necessity of the excess mucous and fluids that are making you miserable. Resist the urge to treat low grade fevers. And if your body isn’t producing extra heat, be sure to keep warm. Turn up the heat a bit, take a warm bath, use an extra blanket at bedtime. Wear socks and even a stocking cap around the house. Your body uses extra vitamin C when you are sick, if it is availabe. Taking a vitamin C supplement several times a day can really make a difference. Sodium ascorbate is usually well tolerated by the body and can be taken by the gram frequently throughout the day. If you get loose stools, your body has enough and you can cut back your dose a little. Zinc3 has been found helpful in shortening the duration of upper respiratory infections. Zinc supplements should be taken with meals according to manufacturer’s directions. Elderberries are great for your immune system. You can often find elderberry syrup in larger grocery stores and pharmacies. Salt has been used for thousands of years to kill germs. A salt water gargle (1/4 teaspoon salt in 1/4 cup warm water) and Neti pot with a salt water solution (1/2 teaspoon salt in 1 cup water) will kill germs where they like to replicate, right in the throat and sinus cavities. Use your gargle and Neti pot at least twice a day. Hydrogen peroxide is another very inexpensive but wonderfully effective remedy to kill germs. You can gargle it, use it in a Neti pot and put it into your ears to kill germs. Start with 3% hydrogen peroxide from the drug store, in a brown bottle. Dilute it with water (1/2 3% hydrogen peroxide and ½ water) and gargle it. Use a capful in each ear several times a day. Add 1/2 teaspoon to 6 ounces of warm water and rinse your sinuses once or twice a day with a Neti pot. If you have significant symptoms do curl up in bed with that extra blanket and watch a movie or read a book. Your body needs its resources to heal. Don’t use them up working overtime or going to the gym when you have an upper respiratory infection. Give your body tools to heal and strengthen your immune system with a good diet. Vegetable soup, chicken broth, citrus fruits and berries are some of the very best things you can eat for your URI. These foods will not overly tax your digestive system (diverting energy from your immune system) but will provide essential vitamins, minerals and fluids to maximize your healing. Avoid heavy meals, dairy products and sugar (except for a moderate amount of honey) when you are suffering with an URI. Certainly each of these remedies could be used by itself if you prefer. Do you have a natural remedy for an upper respiratory infection? We would love to hear from you! This entry was posted in Uncategorized on October 29, 2017 by The Health Coach.